Michael, Director of The Blau & Berg Company, is responsible for representing all clients on either side of real estate transactions and his logistics background allows him to give his clients an edge. He has been with the company since 2014. 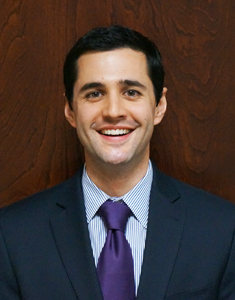 Utilizing financial techniques acquired while pursuing his undergraduate degree at Pace University, his Bachelors of Business Administration (BBA) proves key in helping his clients manage through the quandary of lease vs. sale analysis. Prior to joining The Blau & Berg Company, Michael spent over a decade working as a broker in the recycling industry. Incorporating his prior experience has set him apart from others in his current position as a sales consultant. While in the recycling industry, he was instrumental in providing solutions for small businesses and fortune 500 companies alike, handling thousands of tons of recyclable commodities per annum. Michael also spent much of his time traveling both nationally and internationally, building time tested relationships, gaining useful market knowledge and learning how best to suit the needs of his customers as he continues to do today.